James Derbyshire is a Senior Research Fellow in the Centre for Enterprise and Economic Development Research, Middlesex University, UK. His research interests include the measurement of firm performance and firm-growth paths; innovation; networks and their effect on business performance and innovation; industrial clusters; technology foresight; high-growth firms; business strategy; scenario planning; strategies for mitigating uncertainty when thinking about the future; agent-based modelling; complexity science; regional economics; and, the philosophy of social science research methods. 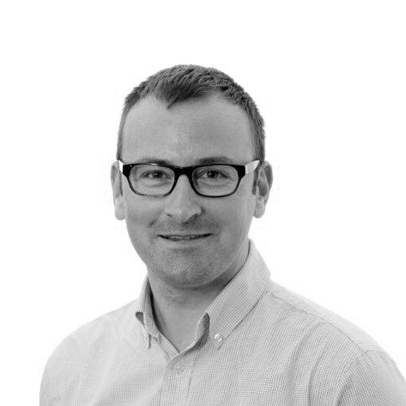 James received his PhD from the University of Liverpool in 2007; for his PhD he researched the networks established by SMEs when innovating, relating different network configurations to different levels of innovation success. He returned to academia in 2012 after a long stint working in the private sector and for government. He has worked for the European Commission, RAND Corporation and Capgemini; he also spent four years working as Senior Economist at Cambridge Econometrics. James has carried out research for a large number of organisations, including UK government departments such as Business, Innovation and Skills and the Ministry of Defence, as-well-as numerous UK local authorities, and numerous European Commission Directorate-Generals, including DG Enterprise & Industry; DG Research & Innovation and DG Employment, Social Affairs & Inclusion. PhD - University of Liverpool Management School (2007). MBA (with distinction) - Durham University Business School (2004). BA Hons History (2i) - University of Liverpool (1999). Derbyshire, J. (2018) Use of scenario planning as a theory-driven evaluation tool, Futures & Foresight Science (in press). Derbyshire, J. (2017) The siren call of probability: Dangers associated with using probability for consideration of the future. Futures 88, 43-54. Derbyshire, J. (2016) The implications, challenges and benefits of a complexity-orientated Futures Studies. Futures 77, 45-55. Bradfield, R., Derbyshire, J. and Wright, G. (2016) The Critical Role of History in Scenario Thinking: Augmenting Causal Analysis within the Intuitive Logics Scenario Development Methodology. Futures 77, 56-66. Derbyshire J. and Garnsey, E. (2015) Are firm growth paths random? A further response regarding Gambler's Ruin Theory. Journal of Business Venturing Insights 3, 9-11. Derbyshire, J. (2014). The impact of ambidexterity on enterprise performance: Evidence from 15 countries and 14 sectors. Technovation 34, 574-581. Derbyshire, J. and Wright, G. (2014) Preparing for the future: Development of an 'antifragile' methodology that complements scenario planning by omitting causation. Technological Forecasting & Social Change 82, 215-225. Derbyshire, J. and Garnsey. E. (2014) Firm growth and the illusion of randomness. Journal of Business Venturing Insights 1-2, 8-11. Derbyshire, J. (2013) High-growth firms: More reasons for caution? Local Economy 28, 355-357. Derbyshire, J., Gardiner, B. and Waights, S. (2013) Estimating the capital stock for the NUTS2 regions of the EU27. Applied Economics 45, 1133-1149. Derbyshire, J. (2013) The survival half-life of firms and its effect on economic development. Local Economy 28, 114-122. Derbyshire, J. (2012) High-growth firms: Policy panacea or a need for caution? Local Economy 27, 326-328. Derbyshire, J. and Haywood, G. (2010) Labour, the enterprise gap and the Red Queen. Local Economy 25, 446-461. Derbyshire, J. (2010) Will policies designed to encourage links between European clusters weaken their internal dynamics? Local Economy 25, 328-338. Derbyshire, J. and Haywood, G. (2009). Uncovering creative destruction: A new method and data source. Local Economy 24, 310-322. Vaze, P., Thol., C., Fraser, A., Derbyshire, J. Savic, M. (2017) Exploring the value of defence jobs in the UK. Department of Business, Energy & Industrial Strategy. Evans, N., Derbyshire, J. + others (2017) Scoping of the the National Evaluation of the 2014-20 English ERDF Programme: National Evaluation Report. Department for Communities & Local Government. Derbyshire, J., Lyon, F., Vickers, I., Caplan, D., Hough, C., Barnes, M., Skone James, A., (2016). Regional Growth Fund Evaluation: Detailed Case Studies Report. Department for Business, Energy & Industrial Strategy. Derbyshire, J., Lyon, F., Vickers, I., Caplan, D., Hough, C., Barnes, M., Skone James, A., (2016). Regional Growth Fund Evaluation: Case Studies Synthesis Report. Department for Business, Energy & Industrial Strategy. Meldgaard J., Vaze P., Davies, B., Derbyshire, J. (2015) Small Business Survey: Linking 2006 and 2007 waves to the IDBR. Department for Business, Innovation & Skills. Izsak, K., Markianidou, P., Rosemberg, C., Teichler, T., Derbyshire, J., Kergel, H., Lammer-Gamp, T., Bovenschulte, M. (2014). European Cluster Trends: Methodological Report. European Commission, DG Enterprise & Industry. Mills, M., Präg, P., Tsang, F., Begall, K., Derbyshire, J. Kohle, L., Miani, C., Hoorens, S. (2014). Use of childcare services in the EU Member States and progress towards the Barcelona targets. European Commission, DG Employment, Social Affairs & Inclusion. Hollanders, H., Derbyshire, J., Lewney, R., Tijssen, R., Tarantola, S. and Rivera Leon, L. (2012). Regional Innovation Scoreboard 2012: Methodology Report. European Commission, DG Enterprise & Industry. Cave, J., Derbyshire, J., Yaqub, O., (2012). Chief Economist Workshop: Key macro drivers of change and scenarios for the next ten years. UK Government Office for Science. Wymenga, P., Spanikova, V., Derbyshire, J. and Barker, A., (2011). Are the EU's SMEs recovering? Annual Report on EU SMEs 2010/11. European Commission. DG Enterprise & Industry. Derbyshire, J., Gardiner, B., Waights, S., (2010) Estimating the capital stock for the NUTS2 regions of the European Union. European Commission, DG Regional Policy. Tyler, P., Warnock, C., Brennan, A., Clarke, A. Fenton, A. Lewney, R. and Derbyshire, J. (2009), The working neighbourhoods fund scoping study. Department of Communities and Local Government, UK. 2018. An econometric analysis of public support for innovation on business outcomes. Department for Business, Energy & Industrial Strategy. 2017. Scoping Study for the Evaluation of the England 2014-2020 ERDF Programme. Department for Communities and Local Government. 2014-2017. European Cluster Observatory: Phase III. DG Enterprise & Industry, European Commission. 2016. Growth Hubs Research and Analysis. Department for Business, Energy & Industrial Strategy. 2016. Economic value of the UK defence sector. Department for Business, Innovation & Skills. 2015. Linking the Small Business Survey to the Inter-Departmental Business Register. Department for Business, Innovation & Skills. 2015-ongoing. Evaluation of the Regional Growth Fund. Department for Business, Innovation & Skills. 2012. R&D investments and structural change in sectors – quantitative and qualitative analysis and policy recommendations. DG Research & Innovation, European Commission. 2012. Use of childcare services in the EU member States and progress towards meeting the Barcelona targets. European Commission, DG Employment, Social Affairs & Inclusion. 2011. European Innovation Scoreboard. DG Enterprise & Industry, European Commission. 2011. Annual Report on European SMEs. DG Enterprise & Industry, European Commission. 2011. Study on employment priorities to strengthen the employment dimension of the EU2020 agenda. DG Employment, Social Affairs & Inclusion, European Commission. 2009-2011. Study to estimate regional capital stocks. DG Regional Policy, European Commission. 2009-2010 Analysis of the Main Factors of Regional Growth: An in-depth Study of the Best and Worst Performing European Regions. DG Regional Policy, European Commission. 2009 Evaluation of the Working Neighbourhoods Fund. Department of Communities & Local Government. Official adviser to European Commission on European Research Area & innovation policy. Invited adviser to Defence Science & Technology Laboratory, Ministry of Defence. Facilitator of scenario planning workshop on future of financial services, 11 Downing Street. Policy Fellow, Centre for Science and Policy, University of Cambridge.